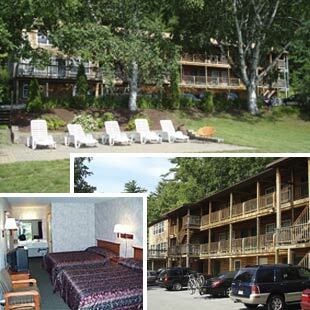 A contemporary year-round facility nestled in the Adirondacks, conveniently located north of Lake George Village and just south of the village of Bolton Landing. This 3 acre property offers a quiet retreat from the traffic and crowds, yet close to the major attractions and activities. Enjoy immaculate tastefully furnished rooms with 2 queen sized beds, table and chairs, telephone, hair dryer, carpeting, a private tiled bath with tub and shower, color cable TV and individually controlled air-conditioning and heat. The locally-renowned Pumernickel’s Restaurant as well as the Bolton Bier Garten are located right on the premises.